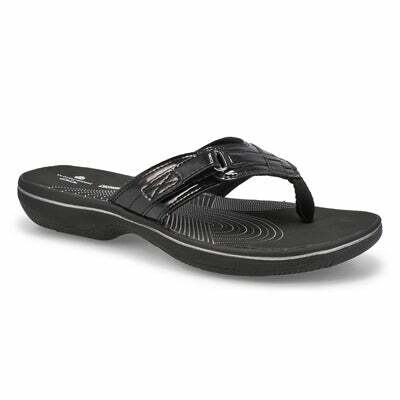 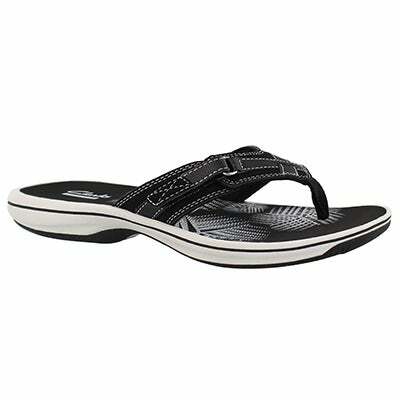 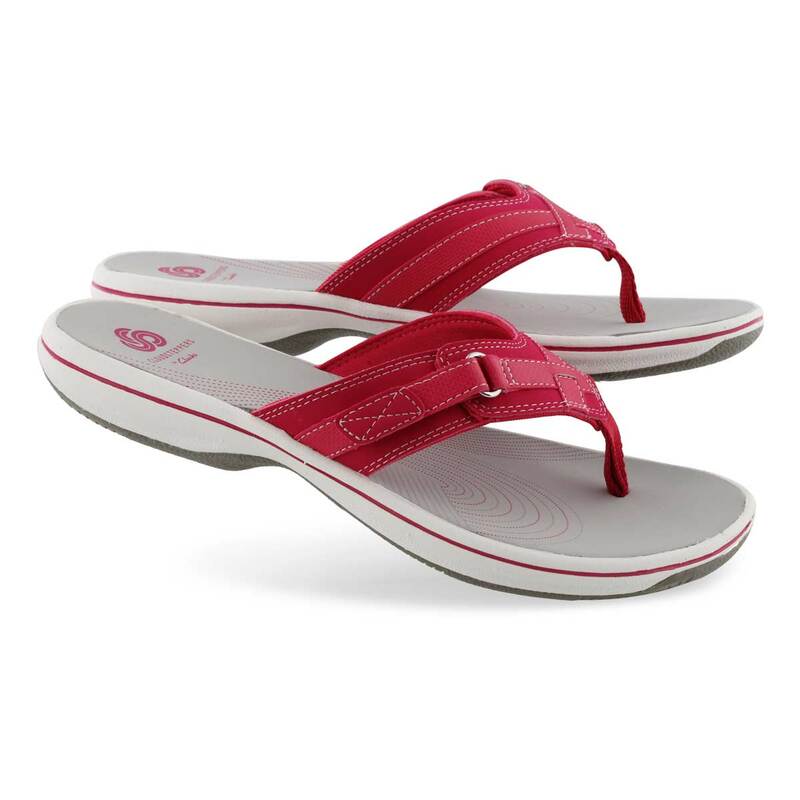 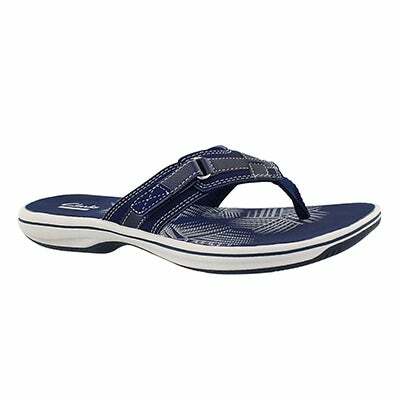 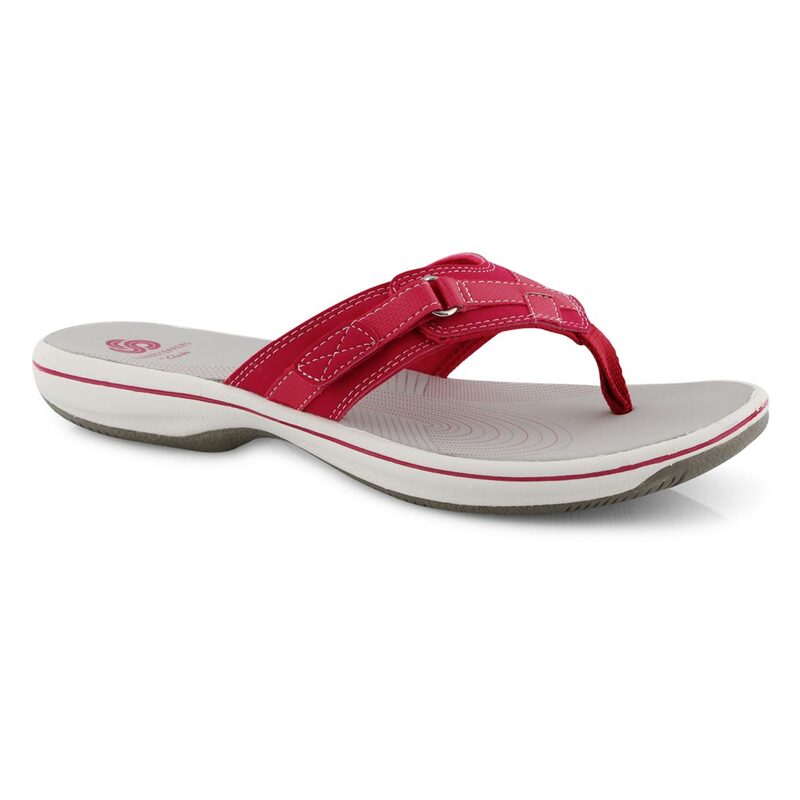 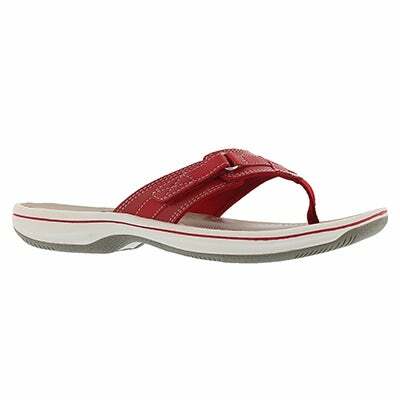 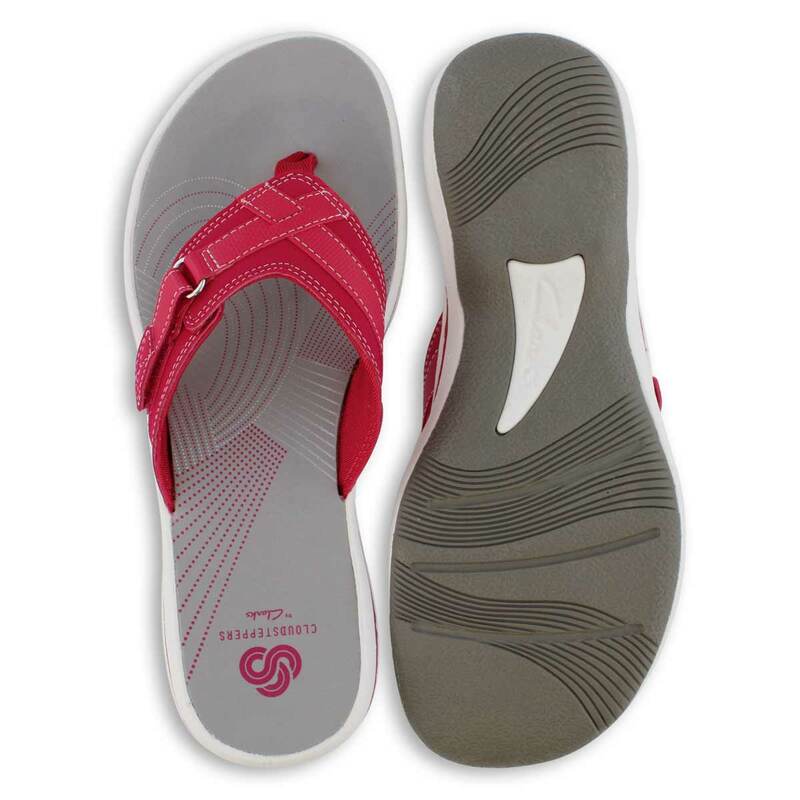 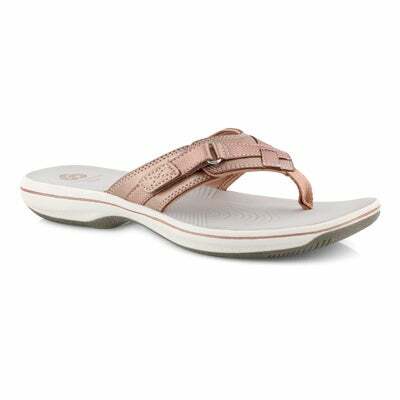 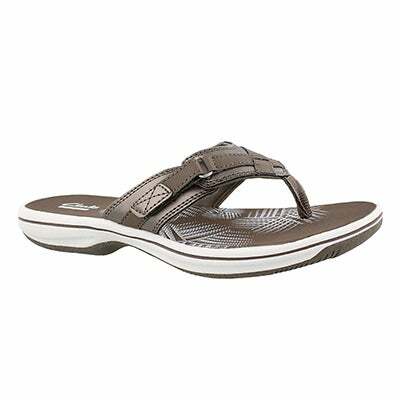 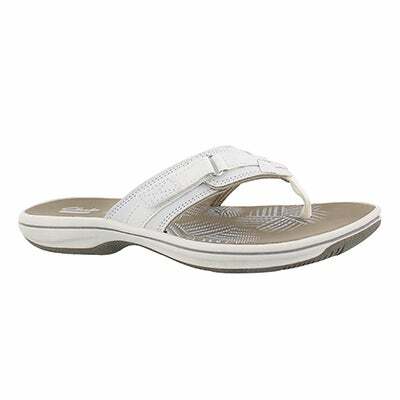 The BREEZE SEA bright rose thong sandal from CLARKS has an EVA midsole and a soft EVA footbed which allows this classic flip-flop to be incredibly lightweight and comfortably supportive. 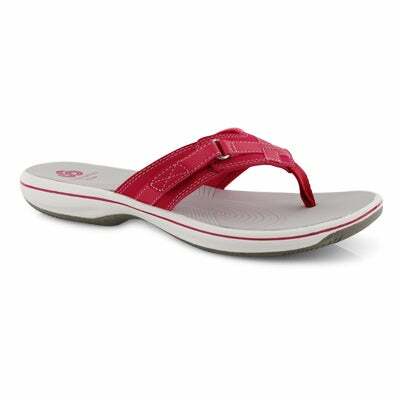 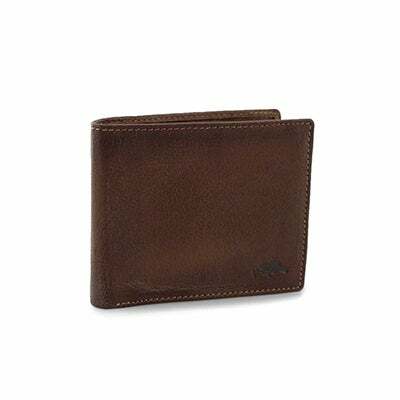 A subtle closure on its strap makes for a secure, adjustable fit while providing extra visual interest. 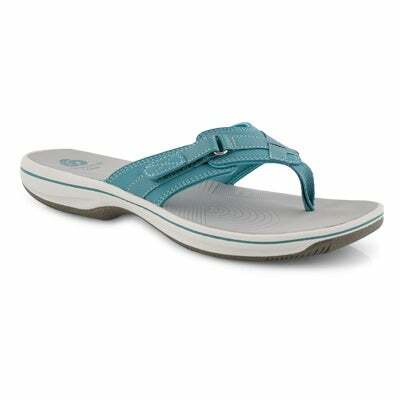 Perfect for every beach on your summer getaway list.